I tend to approach most books on Connecticut travel and culture quite cynically. At least the travel bit. Sorry, but if I can be honest for a moment, I’ve been to all those places and have also written about them. It’s that “been to all those places” bit that makes me cynical. What I’m saying is that many of these authors haven’t been to all those places. But this book is different. It’s not a travel book at all, so my cynicism was dulled before I began to read it. I still had the idea that the book would contain nothing new-to-me, but that didn’t mean it would be a bad book, per se. Egg on my face. 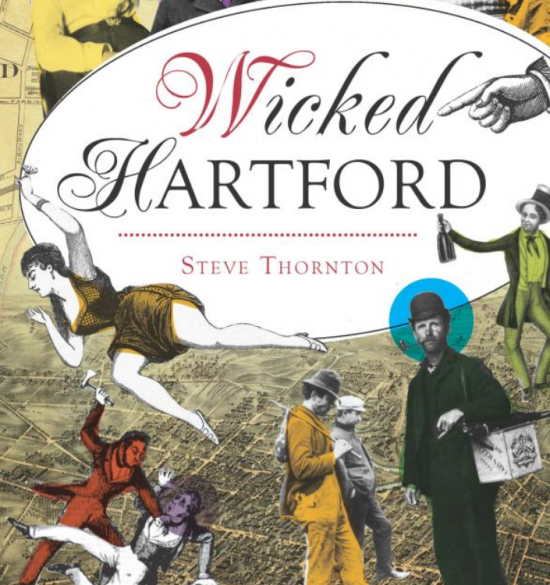 Wicked Hartford is definitely one of the more interesting Connecticut-centric books I’ve ever read. (And I’ve read a lot.) At least half of the book provided histories and stories that I hadn’t heard or read about before. That alone makes this book better than most. The definition of fascism would seem to contradict the tenets of Yankee independence and American democracy. Yet more than a few Hartford residents admired Mussolini for the image he projected: his jutting jaw, his hands chopping the air and his testosterone-fueled attitude. Il Duce (“the Leader,” as Mussolini named himself), promised to make Italy great again, which spoke to many immigrants who longed for their homeland. Hm. 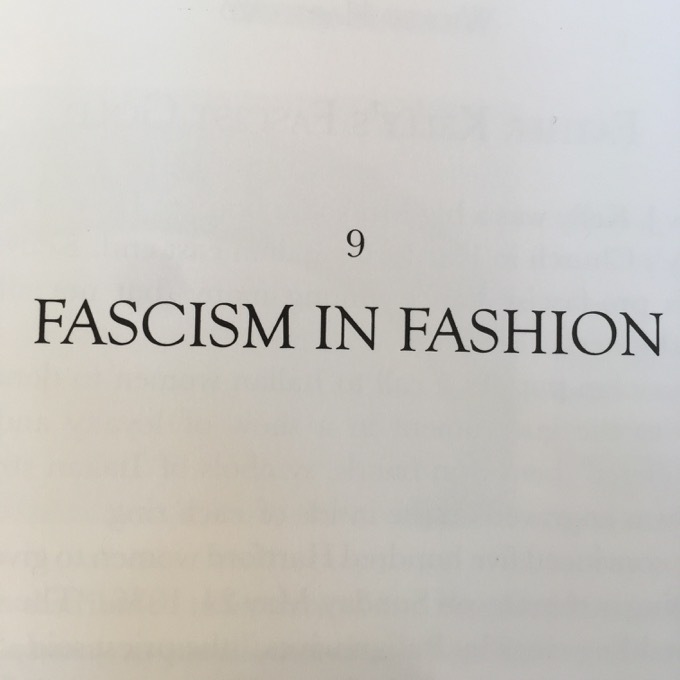 Thornton drops in these cheeky little direct relationships with today’s anti-immigration policies of our current government and is sure to explain how things turned out for the likes of Mussolini. For what it’s worth, the author is not just a union and worker’s rights guy, he’s vice president of District 1199 SEIU, also a member of Industrial Workers of the World and the National Writers Union. My favorite parts of the book were the dissections of local “heroes” like Samuel Colt and Morgan Bulkeley. Both are celebrated in Hartford, both were hugely successful, and both were rather terrible humans. My friend Bill Hosley, a local historian, calls Colt an “autocratic maniac.” Colt treated his workers as slaves – “while they were not legally enslaved, it was more a matter of degree than kind.” Oof. Colt was also a “copperhead,” a northern Democrat who opposed President Lincoln and grew wealthy arming traitors. Colt supported “states’ rights” and even charged the US Army 10% more than he charged the confederate states for his weapons. Weirdly, he called himself Colonel and created his own army. There was lots of weird with Colt. And also with another favorite Hartford son, Morgan Bulkeley. 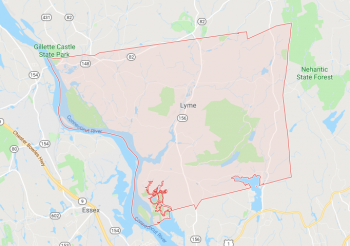 There’s a bridge named for him, he ran Aetna for a while, ran major league baseball for a while, ran Connecticut for a while… and ran with prostitutes for a while. When he was caught doing so, he went after the investigative journalist with such venom and vigor, it would be unbelievable if (again), not for today’s demonization of the press by the powerful. Bulkeley was a wealthy WASP, and the journalist was a (gasp!) 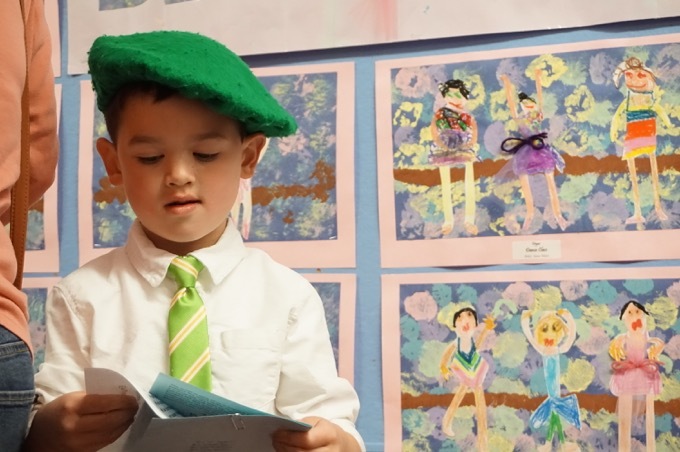 Irish immigrant. Bulkeley pretty much destroyed the guy’s life after almost getting him murdered. There are a few sections that clearly play into Thornton’s personal thoughts on economic classism. Like the stories of the super-rich in Hartford throwing extravagant parties where the theme was to dress up like poor people. And how the unemployed during the Great Depression were used to build public works like Brainerd Airport and balked at paying them a dollar a day. Attorney General A. Mitchell Palmer led a nationwide roundup of immigrant workers, union organizers, and suspected radicals on flimsy excuses. Those held prisoner were denied basic rights, including not being charged with a specific crime or offered bail. Many of the foreign born were deported an families were torn apart. Ain’t history fun? Seyms Street Jail was horrible. This place operated until 1966(!) There were “Punishment rooms” above the boiler room wherein the floor would burn the prisoners’ feet. But hey, the jail was designed by none other than another local icon, George Keller – though he’s not to be blamed for the poor conditions of the joint. As you can tell, I very much enjoyed Wicked Hartford and finally read mostly new stories about something I thought I knew pretty well. Whether or not one agrees with Mr. Thornton’s clear political leanings, it’s still a good read.